The much awaited Grand Punto is all set to arrive in the Indian market. The launch and public unveiling of the car will happen at a grand ceremony in New Delhi on the 17th of this month. Fiat India Automobiles Ltd, the joint venture between Fiat and Tata Motors, has just announced that it is all primed to launch the petrol and diesel versions of the Grande Punto, the company's mid-size hatchback. The Grande Punto is a perfect hatchback counterpart to the Linea which has already established itself among the C plus segment saloons. Manufacturing of this new hatchback will commence at Fiat's state-of-the-art plant at Ranjangaon which already manufactures the Linea and Palio. Fiat Grande Punto would compete in India with existing models like Skoda Fabia, Tata Indigo, Ford Fusion, Hyundai Accent along with the soon to be launched Maruti Ritz and the Honda Jazz which have already made their mark in the market. The true competition of the car would be with Honda Jazz which is also a new entrant. The beautiful lines of the Grande Punto have been penned by Giorgetto Giugiaro, who has received the accolade of 'Car Designer of the Century' for styling some of the most striking looking car designs of the 20th century. The car has consistently done well internationally since its launch in 2005 and it too has won many awards such as Brazil's 'Carro Do anno 2008' (Car of the Year 2008) among many others. Even on the safety front, the Grande Punto has received the highest 5-Star rating in the stringent Euro NCAP safety tests. To make the car a great value proposition in India, Fiat is aiming for 85-percent localization by the end of this year. The car has been developed by Italdesign-Giugiaro along with the Fiat Style Centre, the Grande Punto stands out in the current automotive scene, not only for its size but also for the beauty of its modern elegant exterior lines which seem to be inspired by the sports cars of the 1950s and 1960s. Like the exterior, the interior of the Grande Punto carries forward the essence of Italian styling thanks to the quality of the materials used and the care that went into every detail. It is extremely roomy, with excellent front visibility, easy access and a large luggage compartment. 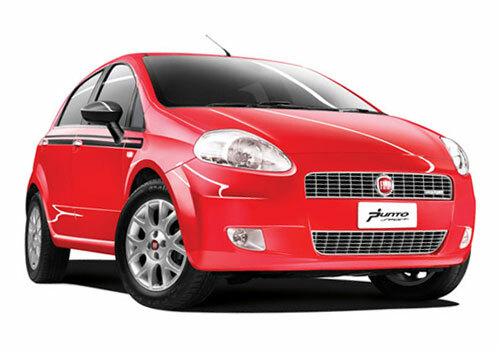 Where quality is concerned, the Grande Punto is stylish and refined and comes with a great sense of solidity. What the customers get is a welcoming, plush and functional environment that is bound to excite. Available in two body styles internationally, which includes a three door version and a five door version, the Grande Punto for India will be available only in the five door version. Trim levels are yet to be decided for the Indian market, but looking at the Linea, we can expect Fiat to bring in the Active, Dynamic and Emotion versions. The Sport version might have to wait! How far the car is able to succeed in the market is yet to be seen with the time to come. Click here to find more on Fiat Grande Punto Pictures.